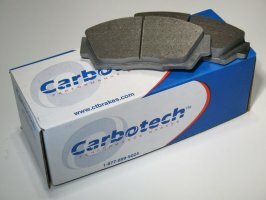 The long awaited COBB Cat-Back Exhaust for the 2015 Subaru WRX/STi. This mandrel bent exhaust uses twin straight-through mufflers terminating in beautifully laser-etched 3.5" quad-tips to make your presence known in the way that only COBB Subaru exhausts can provide. The outstanding craftsmanship and attention to detail are evident in every aspect of this gorgeous cat-back. 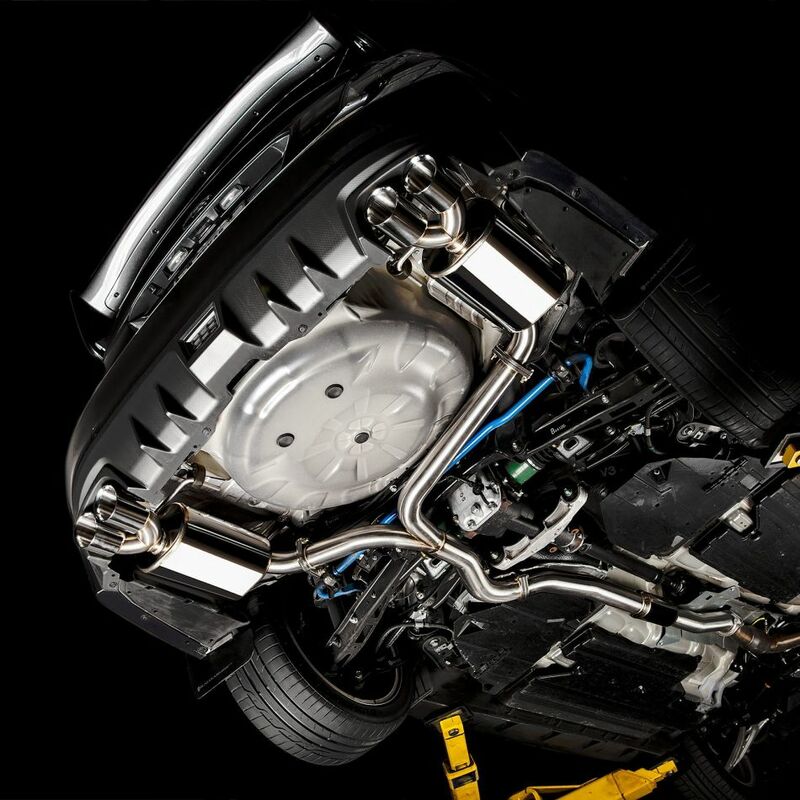 304 stainless steel is used throughout the exhaust construction. 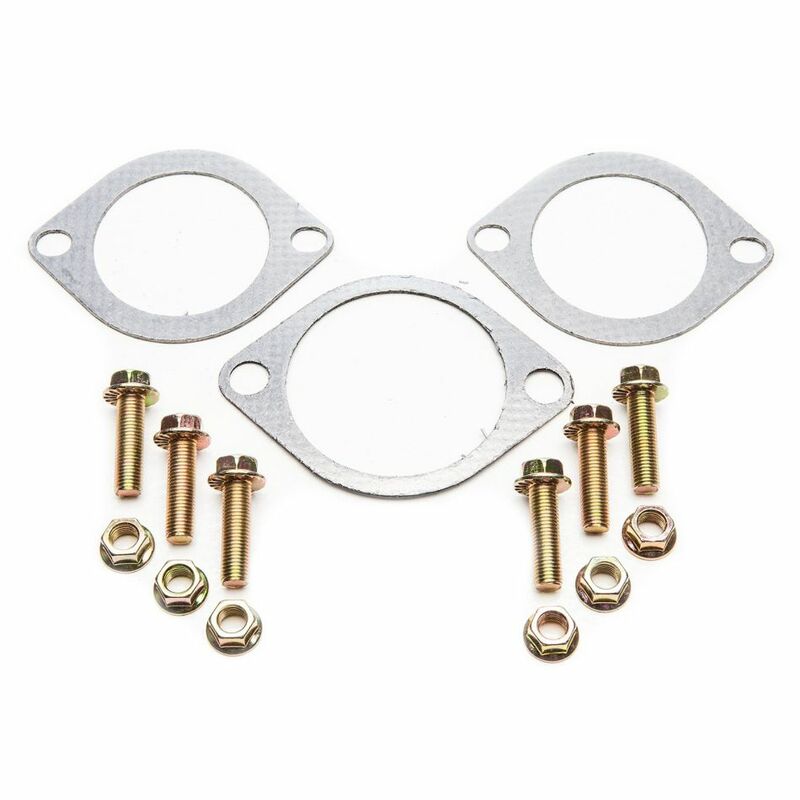 All components are meticulously TIG welded for outstanding appearance and strength. 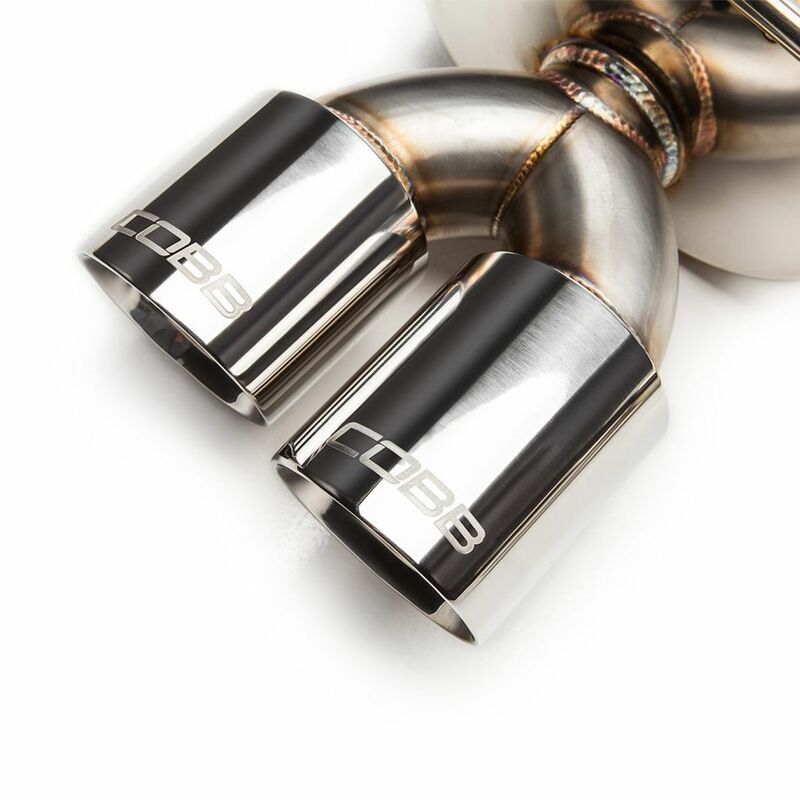 Four custom exhaust tips fill the factory bumper cut-outs perfectly, protruding just enough to show off the COBB logos etched into the top of each polished tip. 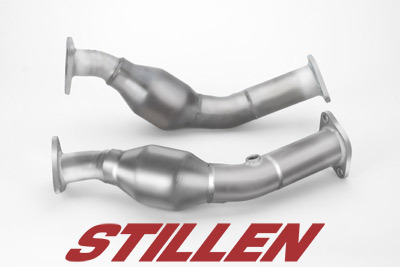 Perfect fitment is achieved with either the Subaru factory downpipe or the COBB 3" SS Downpipe. 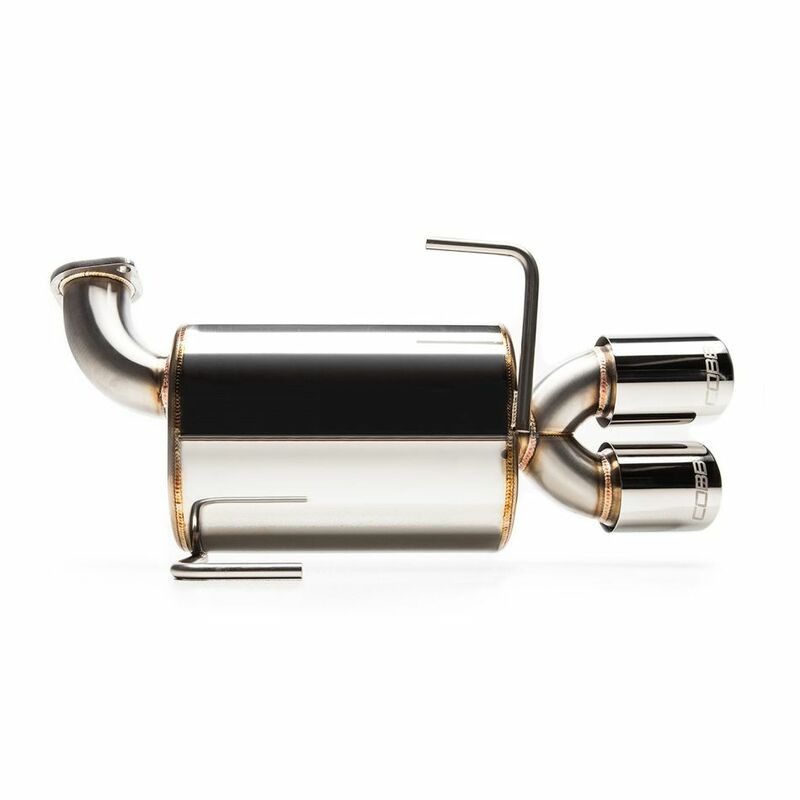 The COBB 3" SS Cat-back Exhaust for the 2015 Subaru WRX/STI is a triumph in design and execution. 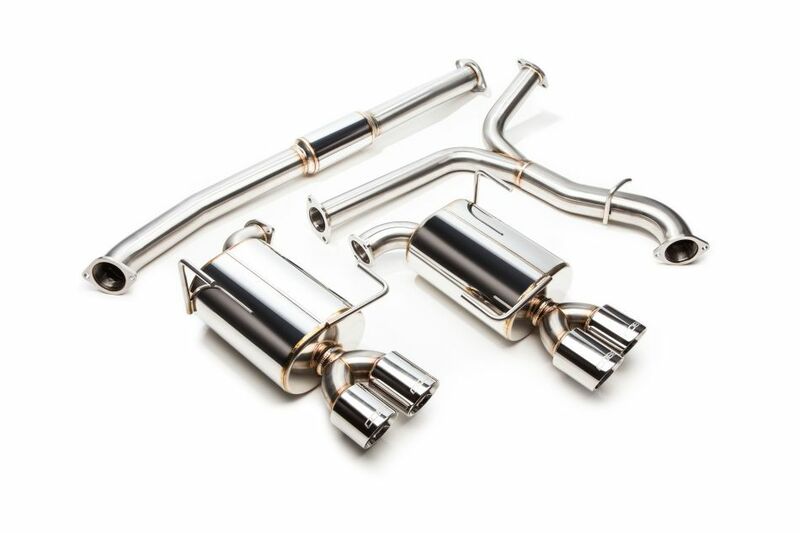 Install the COBB 3" SS Cat-back Exhaust on your WRX/STI and experience performance like no other.